Some 160 countries will participate in the Rio 2016 Paralympic games involving an estimated 4,350 athletes competing for 528 medal events across 22 sports. This signifies an 11-fold increases in athlete participation from 400 at the 1964 Tokyo games. Countries represented at the games have grown from 21 in 1964 to 160 and the number of sports has increased 2.5 times from nine to 22. The Games have thus evolved from an event for only athletes who used wheelchairs to now welcoming ten different impairment types that make up the athlete classification system for competition. The summer Paralympics now has a massive broadcasting audience, which in London 2012 included a 3.8 billion-person TV audience. It also has an increasing presence on social media. At London 2012, for example, some 1.3 million tweets mentioned “Paralympic”. As we all await for the opening of the Rio 2016 Paralympic games, many people viewing might not know how this multi-disability multi-sport mega event has evolved from one-man’s vision to use sport as a vehicle for rehabilitation to the international spectacle that it is today. The second world war was devastating for humanity, not just in the number of those killed but also in the number of people who sustained injuries resulting in lifelong disability. The Paralympic games are a direct result of those incurring spinal injuries during the second world war and the improved medical efforts that resulted in much higher survival rates and longer life expectancy. This also meant there was a greater need for rehabilitation. Young people with spinal injuries in their early twenties would now live until their 60s. There was also a moral and economic imperative to ensure they could be contributing and engaged members of society. One of the responses to this was the opening in 1944 of the Spinal Injuries Centre at Stoke Mandeville Hospital in Aylesbury, England. 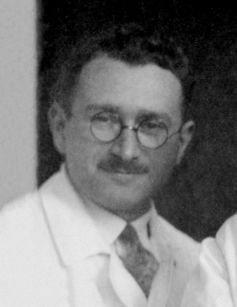 It was headed by the visionary Dr Ludwig Guttmann, who quickly gained a reputation for innovative practice not just in medical rehabilitation but also through motivating those with spinal cord injury. Central to Guttmann’s approach was the introduction of sport into the rehabilitation regime, which quickly evolved into a wheelchair sport competition. This was first between wards, where servicemen and women who were naturally competitive, thrived on the physical outlet that competition provided. Following a few years of development, as depicted in the film The Best of Men, it was on July 28, 1948 that the Stoke Mandeville Games were first held. From the announcement of the games, Guttmann had a vision for the future of wheelchair sport beyond Stoke Mandeville. He had deliberately planned for the games to be held at the same time in parallel to the 1948 London Summer Olympic Games. These modest beginnings of an archery competition with 14 male and two female competitors, led to the creation of an annual Stoke-Mandeville Games. The first internationalisation of this competition occurred in 1952, where competitors from Holland were invited to complete in archery, table tennis, darts and snooker. Eight years later Rome became the first city outside of Stoke Mandeville to host the games. Yet, it was not until Tokyo 1964 that the term “Paralympics” was officially used. The table below shows the host cities of the Summer Paralympic Games from 1960 through to 2016. The table also details the growth of the Paralympic Games in terms of overall number of athletes, gender breakdown and proportion, and the number of countries participating. From 1960 to 1984, only two Paralympic Games were held in the same city as the Olympic Games: Rome 1960 and Tokyo 1964. However, there was no formal relationship between the organising committees during these two games, or between the International Olympic Committee and the organisations representing the Paralympic movement at that time. In 1988, the Paralympic and Olympic Games were both held in Seoul, Korea. The host organising committees for the first time ensured that the Paralympic athletes competed in the same venues (except housed different villages) as the Olympic Games. They also had similar style Opening and Closing Ceremonies. For many, these Games represent the birth of the modern Paralympic Games. One year later in 1989, the International Paralympic Committee (IPC) was officially formed, bringing together the four separate disability-specific organisations that had previously been represented in the International Co-Coordinating Committee Sports for the Disabled. 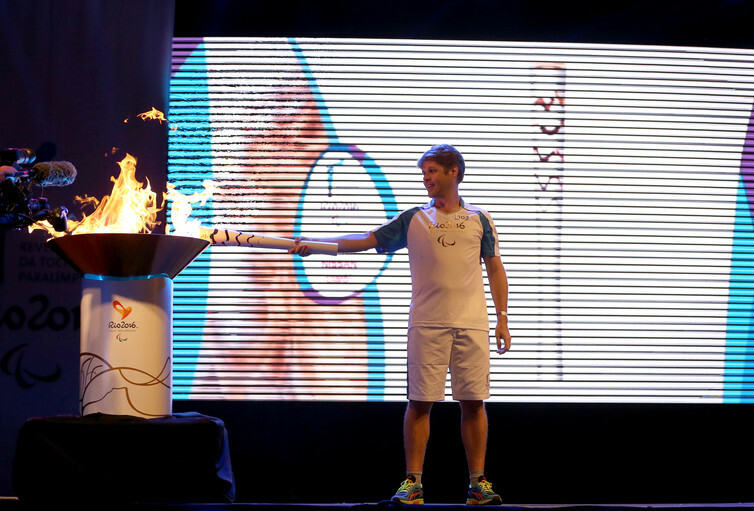 An Olympic endorsement proved a huge boost for the Paralympics, adding status and legitimacy. The timing of the Paralympics, two to three weeks after the Olympics, is also auspicious. By then, people have recovered from the serfeit of Olympic sport and are ready for another. Up until 1989, with the establishment of the IPC, it could be considered that the Paralympic Games did as well as it could in working with host cities to provide as good a games experience as possible for Paralympic athletes. The Olympic-Paralympic co-relationship was more evident at the Barcelona 1992 Paralympic games, which was widely regarded as a model Paralympic Games. Yet, there was still a great deal of goodwill required for the Olympic and Paralympic games experience to be coordinated through the host city arrangements. The Atlanta 1996 Olympic and Paralympic Games showed the frailty of the relationship, with significant issues emerging with very little coordination between the two organising committees. Four years later, the Sydney 2000 Olympic and Paralympic Games became a benchmark for the operational partnership between organising committees. It was following these Games that the first host city agreement between the IOC and IPC was signed ensuring that all Games following 2008 would require bid cities to host both Games. Even without the formal agreement in place, Athens 2004 and Beijing 2008 organising committees benefited from the improved knowledge management exchanges that saw lessons from previous games transferred to the next host city. While the knowledge transfer was predominantly Olympic related, there is no doubt that the Paralympic host city organisation also benefited from this arrangement. The relationship between the IOC and the IPC was further consolidated prior to the commencement of the 2016 Rio Olympic and Paralympic Games with the signing of another Memorandum of Understanding, which extends the partnership until 2032. Whether this agreement is in the best interests of the Paralympic movement is debatable. There are some who believe that the Paralympic movement and Games are at a point in their evolution where they could and should separate themselves from the Olympics. Yet, the risk associated with the Paralympic Games separating itself from the Olympic partnership is regarded as too high for others who believe the Games and movements are best served being together in the same cities. The benefit and value of the Games, regardless of where they are held or placed within an Olympic context, is also being questioned. The vision of the IPC is “to enable Para athletes to achieve sporting excellence and inspire and excite the world”. Yet critics of the IPC and the Paralympic movement suggest that the rhetoric of these claims falls far short of the reality of people with disability within the host city and country where they take place. 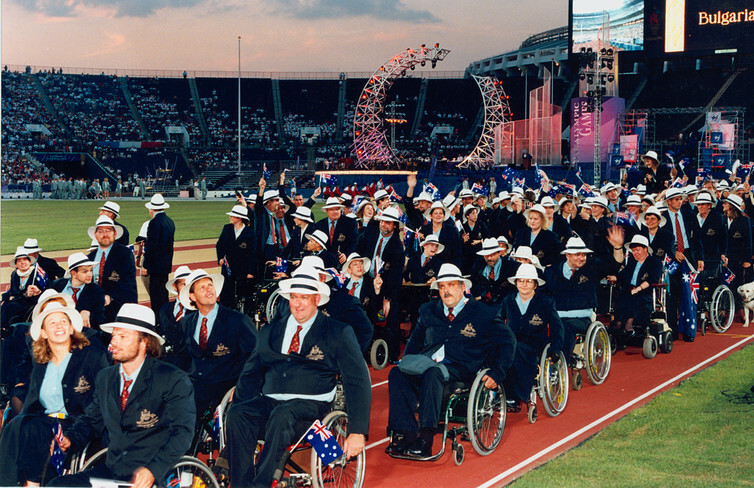 Does the Paralympic games lead to a lasting legacy of improvement for people with disability? Can it only ever improve the material position of the elite athletes who participate? While the IPC Handbook and the IPC accessibility guidelines identify the importance of improving host city accessibility and attitudes towards people with disability, the IPC has never resourced studies to test these claims. It wasn’t until London 2012 that social inclusion was highlighted in bid documents, and formed part of the narrative leading up to London 2012 Olympics and Paralympics. This focused attention specifically on Paralympic engagement beyond the athletic field and sought to prepare London for a legacy that included disability, accessibility and inclusion in the community. Yet, even this bright light is fading, as recently expressed by the face of the London 2012 Paralympic games Baroness Tanni Grey Thompson, who quit her role on the organising committee because she considered it had become “tokenistic”. Similarly, the President of the Rio 2016 Olympic and Paralympic Games Organizing Committee, Carlos Arthur Nuzman, is hopeful that the Paralympic Games will improve social inclusion in Brazil. Yet, the opportunities outlined in both the Rio sustainability management plan and the Rio accessibility guidelines for the Rio 2016 Olympic and Paralympic games require resourcing to achieve outcomes that currently do not exist for disadvantaged groups in Rio de Janeiro. The Rio 2016 Olympic Games has not been without its own controversies. Even before the Olympic Games had ended, controversy over the financial viability of the Rio 2016 Paralympic games dominated social media discussion and captured media headlines worldwide. These financial matters have spilled over from cost overruns from the Olympic Games and will test the new Memorandum of Understanding signed by the IOC and the IPC. These financial matters threaten the participation of a number of developing nations that were due to compete at the Paralympic Games with potential non-payment of participation funding from the host organising committee. As the athletes of the world descend on Rio for the focus of their last four years training, we all hope that the 2016 Rio Paralympic Games can be run safely, successfully and with some type of lasting impact and legacy for the socially disadvantaged in Rio and in particular those with a disability.